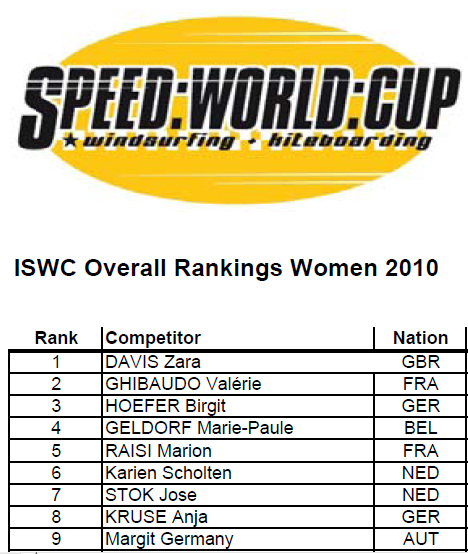 Based on a rolling 12 months results Zara has achieved the coveted No 1 position on the ISWC Womens Speed ranking. Zara has slowly clawed her way up the ranking list by consistent performances at international events like the European Championships which she won in Ireland last year. There are still 3 more events to go in 2010 including her home event at Weymouth England and with some good results she hopes to stay in the No 1 spot for some time to come.